When delegating Reset-Password permission to specific users, scope their access to only user objects for which they are supposed to manage. For example, you want to let your helpdesk administrator manage password reset for users in a branch office. Consider grouping the users in the branch office under a specific OU and grant the helpdesk administrator with Reset-Password permission to that OU instead of the User container. 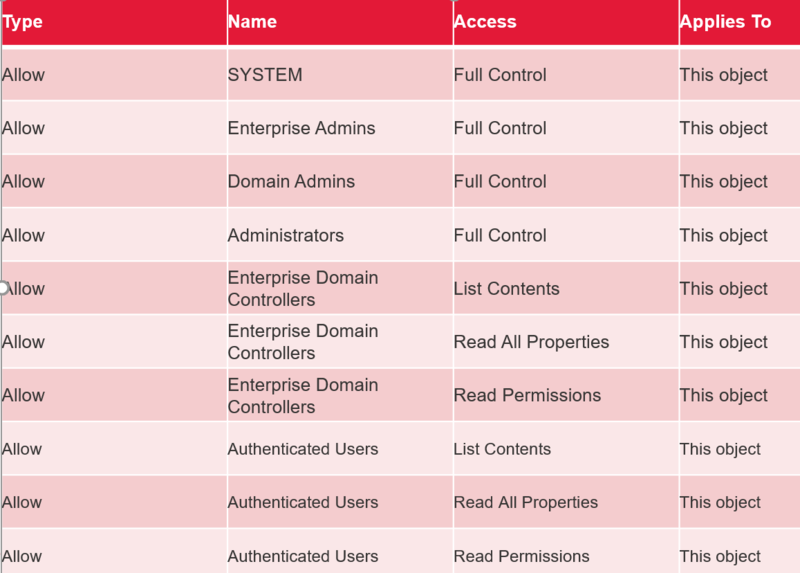 Disable Access Control List inheritance on the object. Remove all default permissions on object except for SELF. 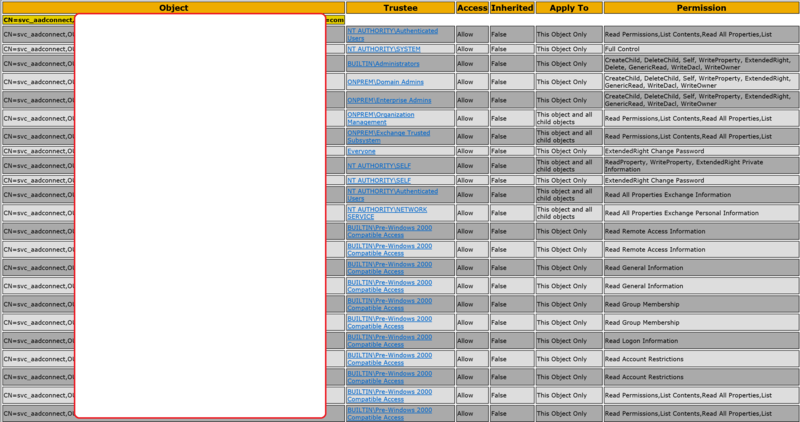 $ObjectDN = The Active Directory account whose permissions need to be tightened. $Credential = Administrator credential that has the necessary privileges to restrict Active Directory permissions on the $ObjectDN account. This is typically the Enterprise or Domain Administrator. NOTE: Please use the fully qualified domain name of the administrator account to avoid account lookup failures. To verify everything worked as expected start service and at least delta sync from AAD Connect. Microsoft announced that this fix is included in AAD Connect build 1.1.654.0 and later. If you are upgrading from older version to newer one this fix will not be automatically implemented and you should manually deploy necessary changed. If you are already using dedicated service account than most of my customers then ACL changes is something you need to consider.